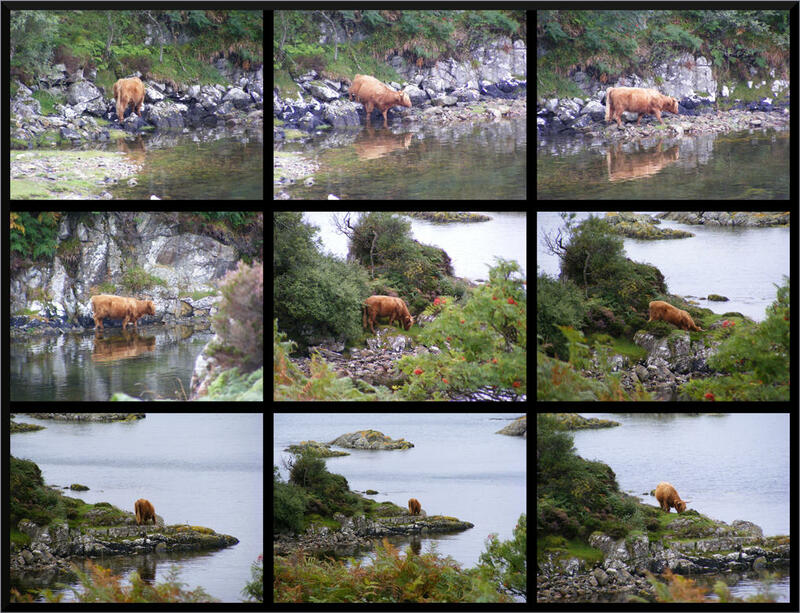 This is not a new photograph (Rona September 2008) but is a favourite for many reasons … first the actual reflections of a cow in the sea – yes the sea! and secondly it provides an opportunity to reflect (or even ruminate) on why the beast even thought about doing this at all? The rest of the Fold had long since wandered past the cottage and up the wee glen leaving here alone to reflect on her predicament! … The Pear-Shaped (person) gets muddy! So now that has got your attention … make a brew and settle down to read. So I set off as usual to catch the 22 in Kirriemuir High Street, via the 20. The 20 was a few minutes late but arrived as the clock changed to the time the 22 leaves at … except the 22 was not there … not even a whiff of exhaust or the purr of a distant engine! He had left early again. The one thing I cannot stand is early running buses but what is more galling is for all the weeks I have been using that service it has never left early once until yesterday! So for the second day I found myself on a 27A headed to Forfar … it comes over the flyover like the bus below (that is actually the 11:45 bus out of Kirriemuir photographed form a high hill). This morning it was late and the male students particularly obnoxious with their fart commentary. I was not staying on that bus to Arbroath and the only bus left to go to Dundee was also a College Bus so I got off the bus at East High Street and walked. No not to Dundee!